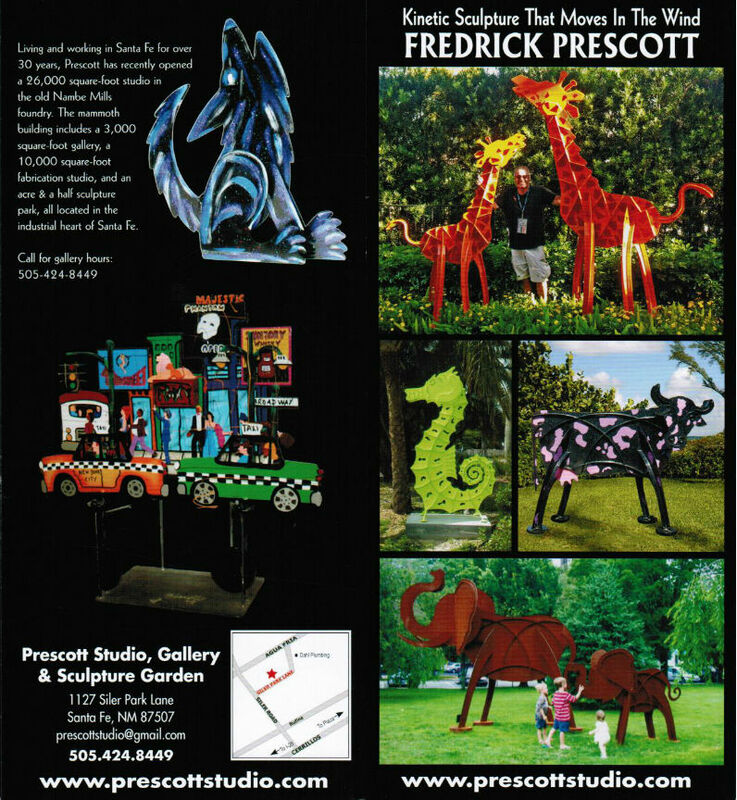 Sold around the world, Frederick Prescott’s outdoor and indoor sculptures are imaginative and highly unique. With kinetic and stationary sculpture ranging in size from tabletop to more than 12ft tall, Fredrick’s works are seen as a blend of folk art, pop art, and technically advanced construction. A vast audience, including sophisticated art collectors, museums, and corporations, make Prescott sculpture a part of their lives. Fredrick Prescott’s monumental sculptures are colorful and gigantic, and with ingeniously designed kinetic engineering, the heads of each animal move up and down naturally in the wind, closely resembling an animal’s natural manner. This movement lends a life-like quality to these ultra-contemporary sculptures and is the trademark of Fredrick Prescott.